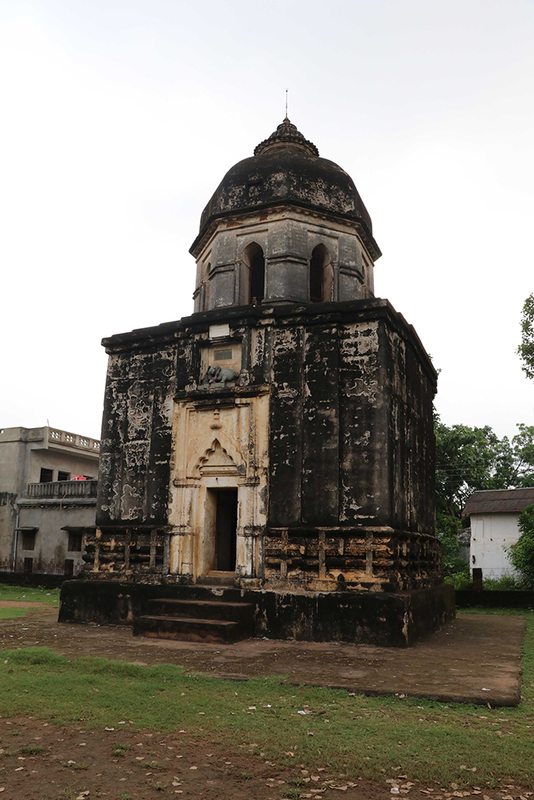 Malleshwar temple was built in 1622 CE by Raghunath Singh and dedicated it to the Lord Shiva. It used to have a Rekha Shikhar but today it has an Octagonal shikhar. Malleshwar temple is square in shape with each side measuring 6.9 meters and the overall height of about 10.7 meters. We also see the ruins of Krishna Balaram temples built in the same Deul style a bit ahead. We can see the ruins of the Bishnupur fort behind the Krishna-Balaram temple. Well, humans have abandoned these structures but nature is thriving and giving life.